Fed up with third-party Twitter apps stealing its thunder, Twitter introduced a litany of new rules Thursday as it unveiled upcoming changes to version 1.1 of its API. Or, as developers are likely to view them, upcoming and unwelcome restrictions. Targeting customer-facing applications, like Tweetbot, Twitter's clamping down on developers of these apps particularly while encouraging development of non-consumer facing apps like analytics apps, Social CRM apps and other applications. Foremost among the API updates is a limit of 100,000 users. If a developer's already at the limit, Twitter said it let them double the figure but won't allow growth after that. Anyone looking to reach beyond the hundred grand user limit will need Twitter permission to do so. Changes like this make it seem as though Twitter wants to tighten the leash on developers by extending user limits - among other restrictions - that force developers to "come to Twitter." The changes are expected to roll out over the next few weeks. 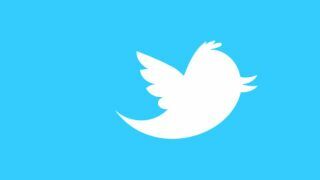 While developers knew these updates were coming down the pipes, no one really knew what Twitter had in mind until the announcement was made on Twitter's developers' blog. In addition to the user limits, developers now need authentication from Twitter to access the API. Every time a developer wants access, they'll need Twitter's direct approval. Where once developers could make as many API inquiries as they wanted, the site's also now limiting the number of calls that can be made in an hour. While it might cut down on spam, the move forces anyone looking for realtime analytics to work in tandem with the site. In an ominous move, "Display Guidelines" are now called "Display Requirements," to ensure "customers have a consistent experience wherever they see and interact with Tweets." The requirements will also make their way onto mobile applications. Currently, those requirements include linking "@usernames" with the appropriate Twitter profile, displaying "appropriate Tweet actions (e.g. Retweet, reply and favorite" and "scaling display of Tweet appropriately based on the device." "If your application displays Tweets to users, and it doesn't adhere to our Display Requirements, we reserve the right to revoke your application key," the blog warned. Developers who're building client applications that are pre-installed on mobile devices aren't exempt from the changes as they'll now need to have their application certified by Twitter before the application ships. Among the changes' minutiae, anyone who needs more than one million user tokens is required to "work with [Twitter] directly." From the day the new API is release, developers will have six months to tow the line with the new rules. Once that happens, just what Twitter plans to do with those who don't comply should come into focus.